FSG worked with Circle K to reduce their carbon footprint and maintenance costs, using LED lighting and FSG’s Clarity™ EEM system. Reducing energy consumption – and energy expense – is a priority for many businesses. Imagine, however, that your business not only needs energy for lights, climate control, and computers, but also for walk-in refrigerators, cookers, ice machines, and soda fountains. Now imagine that your business has approximately 8,000 locations, and each location needs to reduce its energy consumption by 3%. That was the challenge facing Circle K. Facility Solutions Group was the answer. 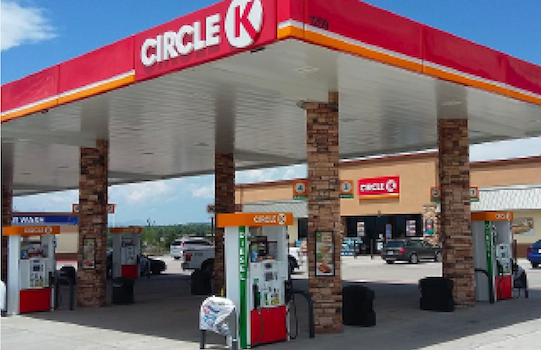 To meet Circle K’s needs, our FSG Energy team employed our customizable, expandable, adaptable Energy Management System, Clarity™The Clarity™ system fit seamlessly into existing stores, integrating with and monitoring legacy lighting and HVAC systems. Clarity™ systems were also installed in new stores, and the FSG Energy team worked with architects and contractors to optimally place Clarity’s™ components. Once operating, Clarity™ worked its magic. Circle K saw energy usage drop by 2.5 to 3% per store as monitoring personnel managed store temperatures and power to lights. On top of that, Clarity™ provided maintenance savings by spotting potential problems before they caused downtime. Circle K was able to take preventative measures and reduce the amount of maintenance truck dispatches. In the end, Circle K began to see operational savings that approached 10 to 15% per store. Ready to imagine how Clarity can work for your organization? We're ready to talk with you.